Arctic Zone, the Californian company, with a vision of innovation has now become a leader in insulated products. Being the market leader in soft-sided coolers and lunch packs, the Arctic zone has its offices in different parts of the world. From 1986 to till date, they continue to serve the people in the cooler industry with the innovations and styles it brings to the table. Where can you buy Arctic Zone Coolers? For more designs and colors visit here. We have already talked about the innovation being Arctic Zone’s forte. Have you ever heard of Zipperless Coolers? Arctic Zone changed the mindset of people about the cooler. 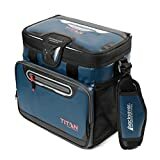 With the Zipperless Coolers manufactured by Arctic Zone especially Titan Series, they have changed the perception about the Arctic Zone Soft Coolers. Durable – Designed with Rhino Tech Material that makes Arctic Zone Coolers tough, strong and durable. 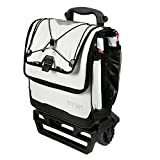 For the convenience and usability, the coolers are designed with the adjustable shoulder strap that further comes with shoulder pad so that your shoulders do not pain while carrying the cooler. SmartShelf – Talking about its unique feature that is SmartShelf. SmartShelf being installed in the Arctic Zone Cooler hold your product so that your hard product and soft product do not get damaged. Top Lid – Arctic Zone Ice Chests come with the easy-access top lid that allows you to take the hold of your products without fully opening the lid. This feature seems quite impressive. Arctic Zone Cooler has an impressive product line up. These soft-sided coolers are hard to be seen with these features. The superior build quality, impressive insulation period is unbeatable when talking about the soft-sided coolers. Durability – The Arctic Zone Coolers are quite durable. They can handle any normal wear and tear and even then stick by your side. Moreover, the Arctic Zone Ice chests are water and stain resistant you do not have to worry in case if it rains while you go out on any excursion, camping, fishing. The Arctic Zone Cooler bags are built with leak-proof lining. 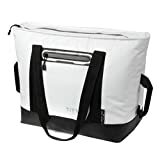 Mobility – Quite convenient and easy to carry, Arctic Zone Cooler bags with the adjustable shoulder strap along with shoulder pad. It becomes much easier to carry the coolers upon your shoulders. So, if your hands are full you don’t have to bother about holding it. While carrying it on your shoulders, the adjustable shoulder strap will make sure that your shoulders do not pain when you carry the cooler. Insulation Period – The insulation period that the Arctic Zone Cooler offers is unbeatable. When talking about the soft-sided coolers, it becomes so hard to find the cooler that has a great insulation period. Normally, you can expect a single day insulation period from the soft-sided coolers but Arctic Zone overcomes this obstacle and their coolers offer up to 3 days of ice retention period depending upon the size, storage, and model. In some cases, it might go more than 3 days depending on the climatic conditions. Abundance of Storage – Arctic Zone Ice chests provides an abundance of storage to keep your content safe. These coolers come with the abundance of storage. This allows you to keep your food and beverages more so you never run out of the eatables. What’s more interesting to know is that the Arctic Zone Cooler bags come with the SmallShelf features that can hold your hard and soft product separately. If you wondering about where to buy the Arctic Zone Ice chests, we recommend you to visit the official store of the Arctic Zone else you can visit the official website of Amazon. Amazon is the only website that’s providing the best prices on Arctic Zone Cooler. Moreover, you can get free shipping when you buy from the Amazon. So, what are you waiting for? So, We have already informed about the specifications of the Arctic Zone Cooler bags. Now, you are well informed about the build quality, design, mobility, ice retention life. Under such a price tag especially when we talk about the soft-sided coolers it’s hard to find the coolers with such innovative and exclusive features. Moreover, Arctic Zone Coolers are relatively cheaper than the rest of the brands. 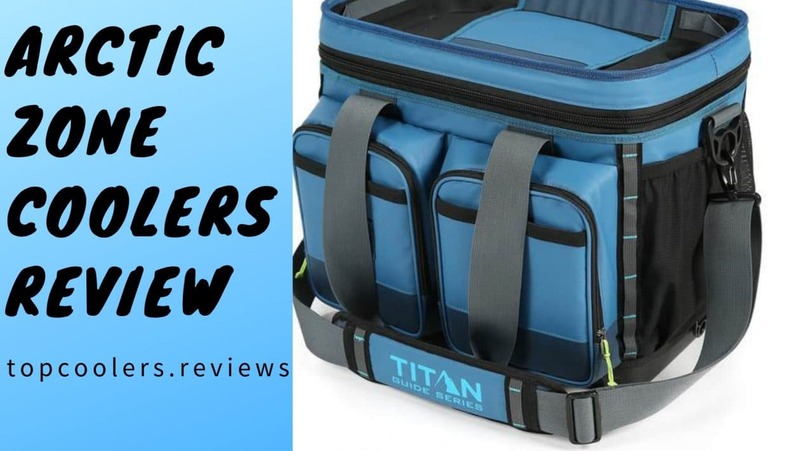 The Arctic Zone Cooler bags do everything pretty well when it comes to quality, durability. We advise you to go for Arctic Zone Coolers when you don’t want to spend a lot of money and at the same time not wanting to compromise with the features. You can always connect with us. Feel free to reach us out if anything bothers you. Next post: Engel Cooler Reviews- Are There Any Better Coolers Than The Engel?